Sgt. 1st Class Shannon Clark is congratulated by Col. Brent Cummings, UNG's professor of military science, prior to receiving her new instructor badge. Clark is the first ROTC instructor in the nation to earn the badge. Sgt. 1st Class Shannon Clark, a military instructor at the University of North Georgia (UNG), recently became the first ROTC instructor in the nation to earn the Army Basic Instructor Badge. The badge is earned by certified noncommissioned officers (NCO) who work as instructors and is part of the Army's Instructor Development and Recognition Program, which seeks to "professionalize" instructors. The badge comes with promotion points for some pay grades. 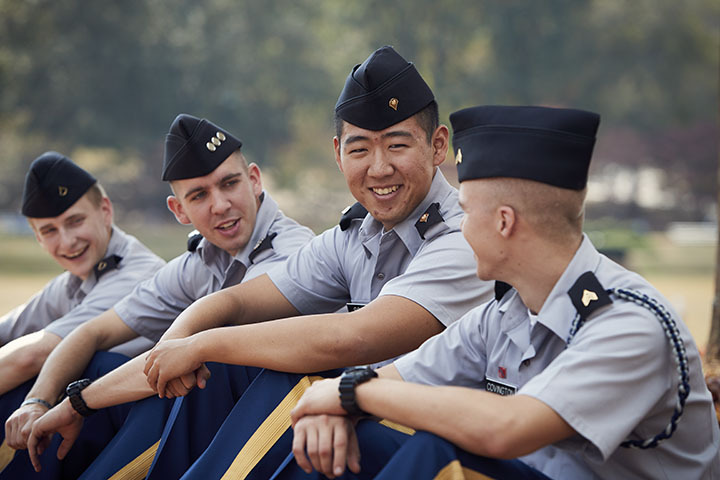 This is a volunteer program and to earn the badge candidates must first complete the U.S. Army Cadet Command instructor certification process, followed by completing 80 instructional hours in a classroom setting, and be evaluated twice by a evaluator that has successfully completed the Evaluating Instruction Course (EIC). "Sgt. 1st Class Clark is an NCO who takes charge and accomplishes tasks, specified or implied, and meets mission requirements all while taking care of the cadets in her platoon," said Sgt. Maj. Kerry Dyer, UNG's chief military science instructor. 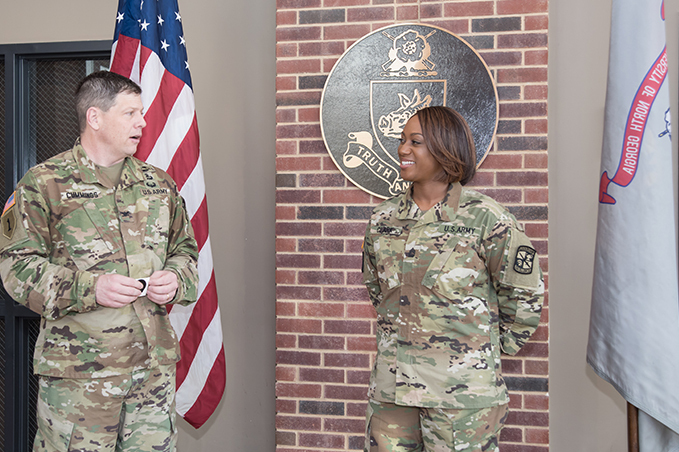 "Anyone that knows her knows that she's one of the most honest, reliable and dependable NCOs, who gives full attention and 100 percent in everything she does. It's no surprise how much time she committed to earn this prestigious badge." The Newport News, Virginia, native said while she's excited to have earned the badge, the process has also helped her refine her teaching skills. "I think throughout your career you should always put yourself in positions to be assessed; it's the only way you can get better," she said. "For me, it wasn't so much about getting the badge as it was to make sure I was doing what I am supposed to be doing as an instructor – to provide quality teaching. It was about perfecting myself and making better second lieutenants." Clark, who's been teaching for a year and a half, said she enjoys the challenge of teaching cadets. 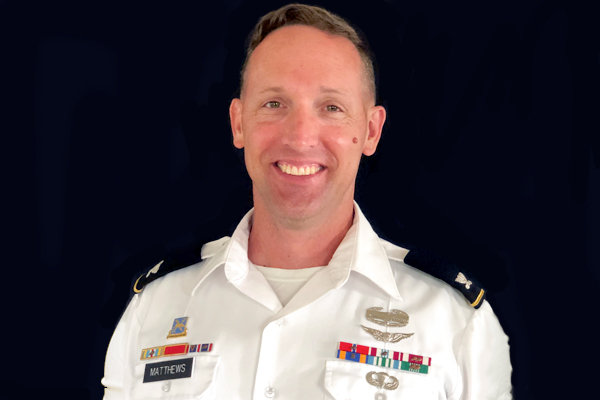 "Being an ROTC Instructor is a very important role. Cadets are watching you every day and I know they compare our relationship to the relationship they’ll have with their future Platoon Sergeant or Section NCO. I want them to know they can trust their NCOs and if for any reason they can’t they are prepared to tactical their new roles and responsibilities and invest in soldiers like I invest in them. I also want them to understand that we are all lifelong learners through my own example," Clark said. "I have to use my expertise to deliver instruction in a manner in which they can understand and use in the future." Being relatable is one of characteristics Clark says helps her connect with students. "I don't hide behind my weaknesses; I present them, and I show how working on them every day and being honest with yourself is beneficial," Clark explained. "In the Army you are never in one position for too long, and each pillar of leadership comes with different challenges so you are constantly evolving. You have to be comfortable with not being comfortable." Tom Burgess, course manager for Cadet Command's Foundation Instructor/Facilitator Course, said recognizing and identifying instructors like Clark is important for the soldier and the command. 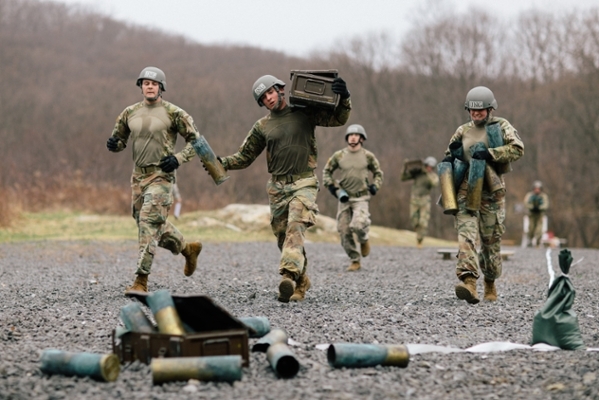 "This is helping to ensure our instructor NCOs are every bit as trained as any other U.S. Army Training and Doctrine Command instructor," Burgess said. "It's not about the badge, it's about the program, because you're telling the Army, 'I like teaching, I'm good at it, and I want to do more of it.' That's what the badge means." 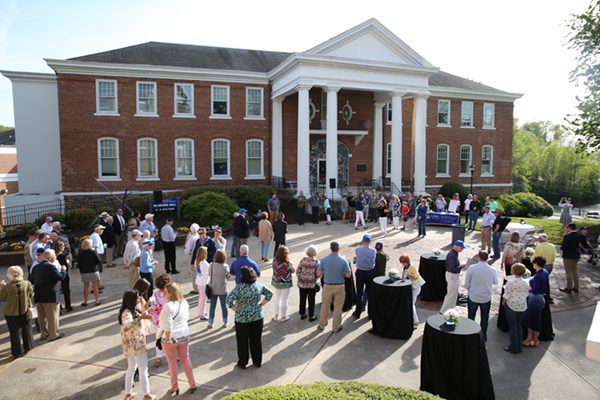 There are three more military instructors – including UNG instructors Sgt. 1st Class Jason Bent and Staff Sgt. Jeremy Broughton – currently going through the instructor badge process, Burgess said, and he hopes to see that number grow each year.